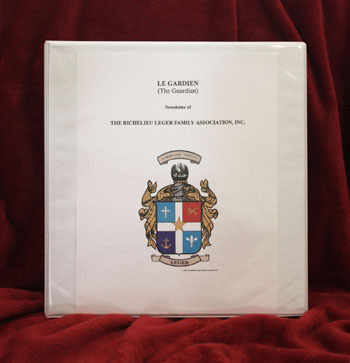 Contains the story of the Leger Family from France, to Acadie, then to Louisiana. including information from 1630 to after the Civil War in America. Included are multiple official documents both in French and English. Angelique and two sons, Louis and Jean Baptiste to Louisiana. Description of rations are especially riveting! 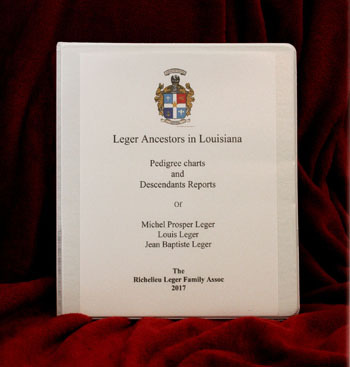 Also Probate records for oldest Son, Michel and his wife, reveal what their life would have been like. propagated the Leger name in Louisiana. 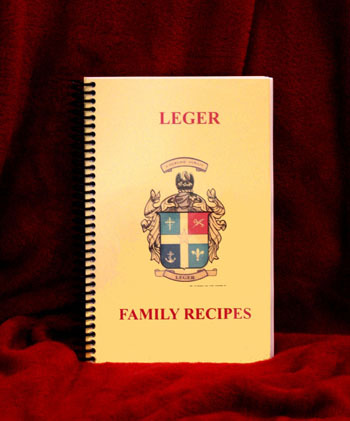 Following the charts, are Family reports for each child bearing the Leger Name. 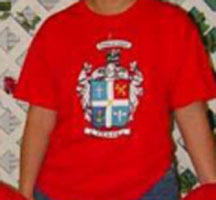 This information is what the Association has been given by its membership. It is definitely not complete. Hopefully more information will continue to be accumulated.